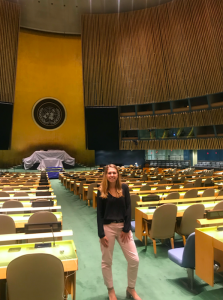 On my first day at the United States Mission to the United Nations (USUN), a Regional Security Officer later told me he thought I looked “terrified.” As much as I tried to hide my nervousness on that first day, I had no idea what my summer in a new city would hold for me. As I exit the Mission ten weeks later, I know that I leave with more knowledge about political reform and public policy, professional skills, as well as personal confidence that have exceeded my expectations for this summer. In helping with projects bigger than myself and providing support in the offices I worked in, I gained a better understanding of the meaning of teamwork and communication. I learned when to listen and apply knowledge from coworkers, but also when to step in with suggestions. It was challenging navigating how the Mission fit into the bigger system of the State Department and the United Nations, and being surrounded by important and successful diplomats was certainly intimidating, but also incredibly inspiring. I gained a better understanding of the various career paths I can take as someone interested in international relations, and global health and development. Through weekly brown bag lunches with political officers, deputy heads of sections, and even an ambassador, I heard about diverse backgrounds that have led to successful careers at the State Department and at the Mission. My advice to those who are studying International and Global Studies (IGS) is to be open-minded in your opportunities. Find what you are passionate about and work towards a career doing exactly that. In trial and error and in figuring out what you don’t want to do, you can figure out what exactly it is you do want to do. I am most proud of the independence that I have gained this summer. Living and working on my own in New York City brought on many new challenges that my small town in Arnold, Maryland certainly didn’t prepare me for. Whether it was navigating the subway system, learning how to network at events and meetings, or simply making sure I had enough food in my fridge for the next day’s lunch, I have definitely gained professional and personal life skills that I will take with me back to Brandeis. As I finish up my last few days at the US Mission the UN, walking through the United Nations “Delegates Entrance” has become bittersweet. The functions of the UN that I have studied huddled under a textbook have come to life in multilateral negotiations at the General Assembly and Security Council, and I will certainly miss being surrounded by so many inspiring individuals who I can learn from. I hope to keep the relationships I have made in New York, and I hope to return soon. I am very grateful for the opportunity to have interned at the United States Mission to the United Nations, which I know would not have been possible without the WOW fellowship, and I am eager to see what the future has in store. P.S. The Deputy Permanent Representative to the United Nations, Ambassador Jonathan Cohen’s parents went to Brandeis! You never know who you will meet along the way! The view of campus on my way to the office. I have also been gathering data for a book my boss/mentor is helping to write. 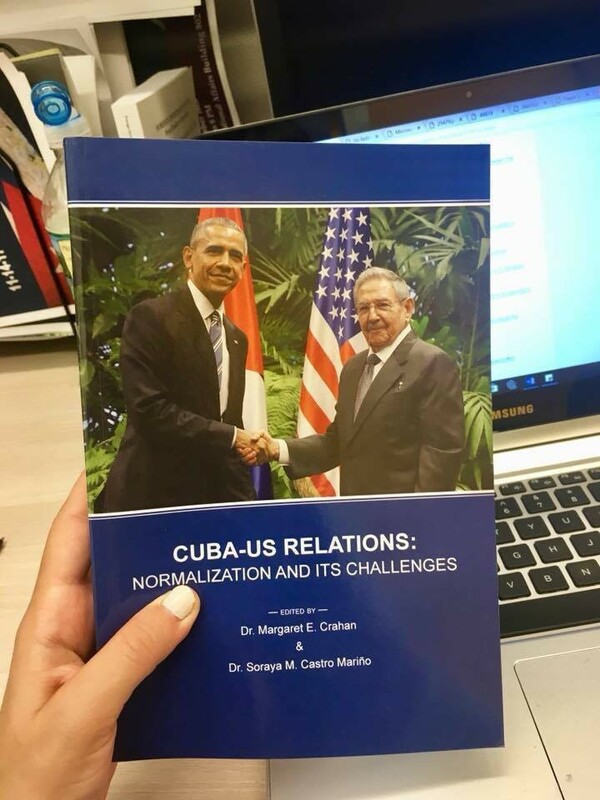 The book is focused on academia and the direction the modern discipline of international relations (not specifically in relation to Cuba) is taking. It seems as though the field of international relations isn’t as “international” as one may think- the US hegemony is growing more and more evident. Looking at the graph below, one can note how the majority of the respondents to the question of who has the greatest influence on the discipline cite US-based scholars. In her upcoming book, my mentor is calling for a diversification of influences in the scholarship so that students can learn and grow from a variety of theories/countries rather than just one. 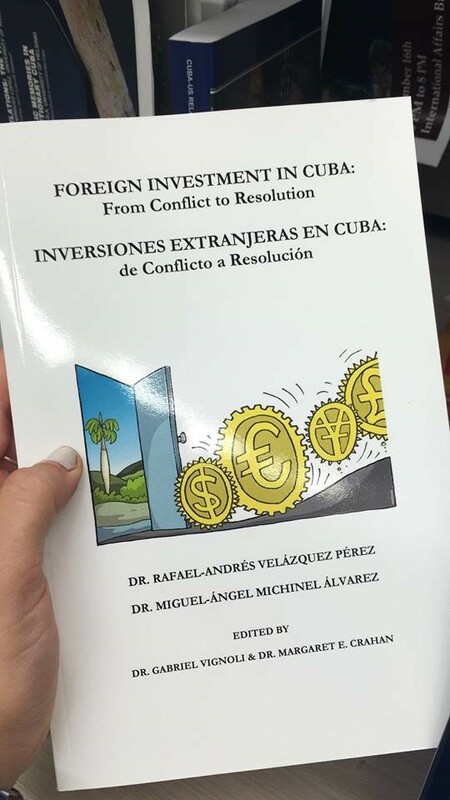 I walked into this internship knowing only one thing: I loved Cuba and cared dearly for its financial/political progress. If you know that you’re passionate about something but don’t know how to make that into an internship, the university research setting is a great place to start. 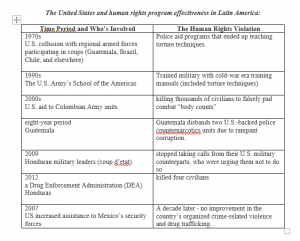 There are so many programs (at Columbia and elsewhere) that are similar to the Cuba program in the sense that they focus on one thing specifically. I was able to find my internship simply by Googling “research on Cuba NYC”; once you have a passion and know where you would want to pursue it, finding like-minded people is easier than you think! Don’t be afraid to ask questions! Taking a genuine interest in your boss/mentors’ career should be part of your experience. Chances are, if they chose you for the position, they’ll want to share their knowledge and experiences with you. By asking, you’ll not only learn more about the industry but also more about what you may want from your own time there. 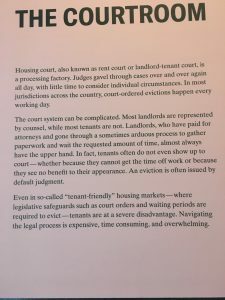 Navigating Landlord Tenant Court and Housing Law in D.C.
It’s hard to believe that my summer internship is almost over. It’s been a jam packed summer full of learning moments. I’ve become familiar with not only my host organization but also the city of DC, as well. From navigating the metro to exploring the museums there is always something to do. Washington DC is a great place to be as an intern. There are many events geared towards interns. 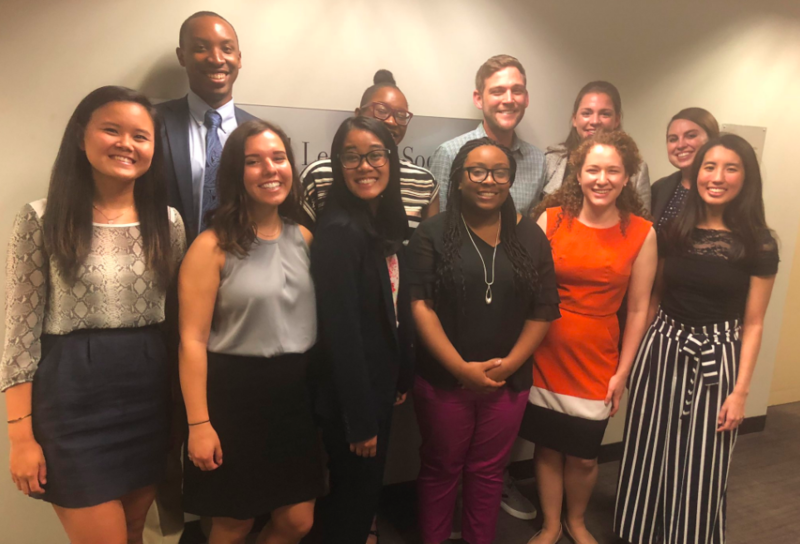 My cohort of interns have been to multiple events hosted by the Washington Lawyers Committee that explores law and politics. 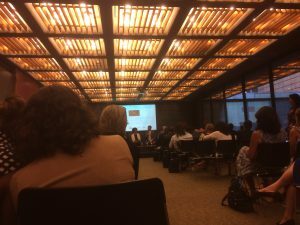 Recently we went to a panel featuring D.C. judges entitled “Poverty From the Bench”. We heard judges discuss poverty and how it affects our judicial system. They also shared how they try to make rulings that are not biased. It was inspiring to hear these judges speak. As an undergraduate intern, in the housing unit at the Legal Aid Society of the District of Columbia, I have interacted with members of the client community in person and over the phone. As part of my internship, I spend two days of the week working at our courthouse project. The courthouse project provides clients with same day representation on their first court appearances in their housing cases. These cases tend to be eviction cases. In D.C. if a landlord wants to evict a tenant, they have to go through the courts in order to do so. I believe that this is a good process due to the fact that tenants have the right to fight against the eviction. However, I have learned that in practice there are many problems with the landlord tenant court proceedings. A very important statistic that I learned early on in my internship is that 90% of landlords have lawyers in these proceedings, while only 10% of tenants are represented. This creates a power differential between landlords and tenants. Often times, tenants that are unrepresented get intimated by their landlords’ lawyers and consent to a move-out agreement even though they frequently do not have anywhere else to live. There is a book by Matthew Desmond that goes into detail about eviction statistics entitled “Evicted: Poverty and Profit in the American City”. 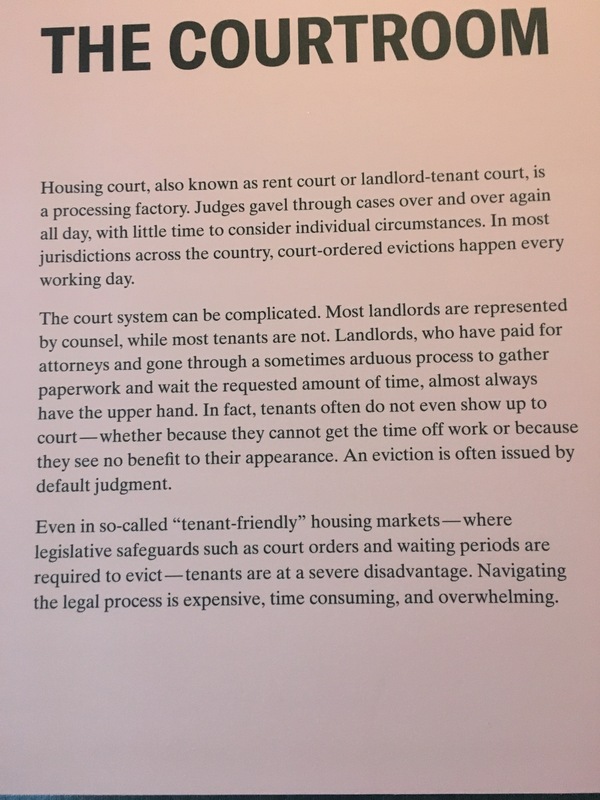 There is currently an exhibit dedicated to this book and eviction work at the National Building Museum. 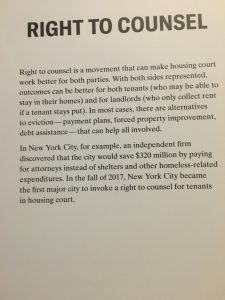 Ironically, the museum is directly across the street from the landlord Tenant Courthouse in D.C.. As part of our internship program, I went to this exhibit with my fellow interns. It was truly an eye opening experience for me. I don’t think I ever knew just how bad evictions were not only in D.C. but across the country as a whole. 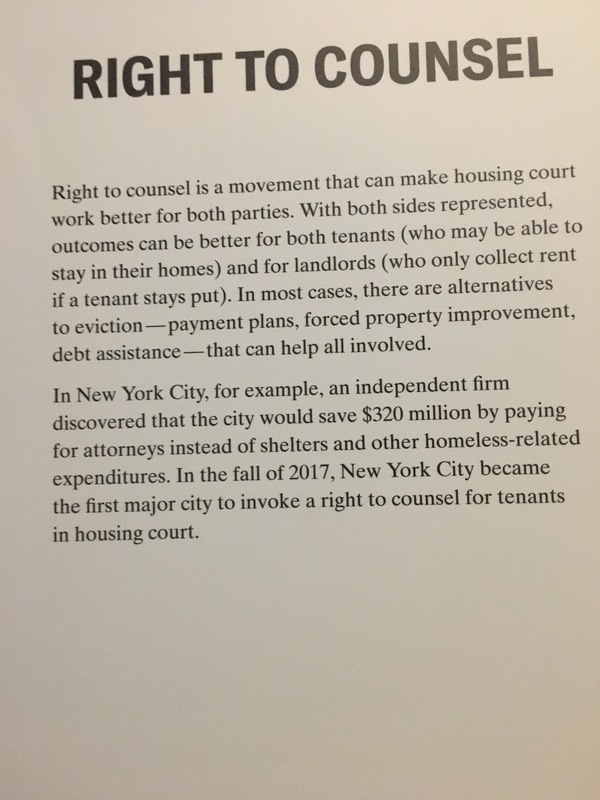 The exhibition contained a section that talked about the Right To Counsel. Right To Counsel (RTC) is a movement that supports individuals having guaranteed representation in civil matters. While the sixth amendment of the constitution grants us a right to an attorney in criminal matters, it does not apply to civil matters such as housing cases. The Legal Aid Society of D.C’s Courthouse project is a part of this movement. Housing lawyers are down at the courthouse five days a week to serve as “AOD” (Attorney of the Day) to help represent as many clients as possible. Unfortunately, there are to many cases on the docket and not enough attorneys. The average number of eviction cases on any given day is roughly 160. Of those cases, approximately half are deemed defaults which means that the tenant did not show up for court. This is very disheartening and something that the attorneys I work with are hoping will change. Being able to work down at the courthouse has been inspiring and motivating. It has led me to believe that my desire to go to law school is very much what I want to do in the future. I want to be able to help provide legal services to those that are underrepresented. I believe that everyone should have a right to counsel in cases that can have an affect on their well being such as eviction cases. Author La'Dericka HallPosted on July 26, 2018 July 26, 2018 Format ImageCategories Recipient of the Experiential WOWLeave a comment on Navigating Landlord Tenant Court and Housing Law in D.C.
I’m lucky enough to have an internship that makes it easy to get out of bed each morning. Walking through the streets of New York, $2 coffee from a local coffee shop in hand, I am always excited to see the new opportunities each day has in store at the U.S. Mission to the UN (USUN). In the Research Unit, I have enhanced my investigative research skills by assisting with research requests. 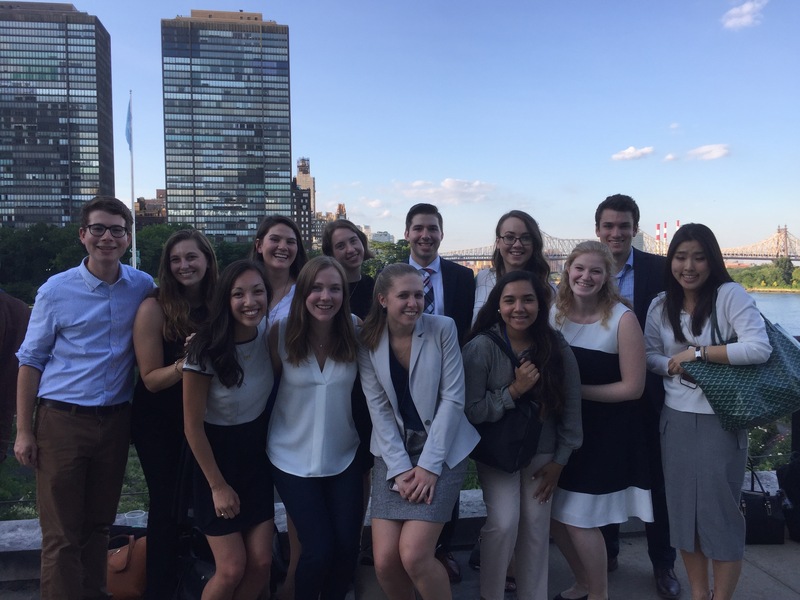 During my time at USUN, I have taken classes at the UN Dag Hammarskjold Library on Security Council and General Assembly documentation, which have helped me better understand the UN system, as well as how to use UN databases in order to find information. 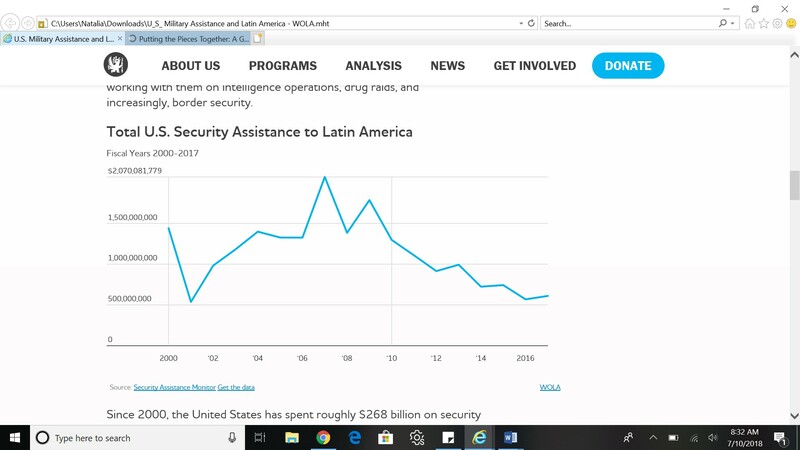 If you’re curious to learn more or would like to engage in your own research using official UN documents, links to these databases can be found here (ODS) and here (UNBISNET). Additionally, I help in management of Freedom of Information Act (FOIA) requests, after a recent surge of requests since fall of 2017. Tasks range from assisting in finding information requested within the Research Unit’s records to management of documents. I also assist with a records management project in order to properly archive official USUN documents. In the Host Country Affairs Section, I organize notifications to Permanent Missions to the UN, and their respective responses to a project to confirm the official status of members of their households in the United States. I distribute to members of the United Nations community the return of their national passports when U.S. visas have been issued as well as Department of State Diplomatic and official identification credentials. This past week I attended a meeting of the Committee on Relations with the Host Country in which I observed how the United States administers its responsibilities as the host country for 192 member states. 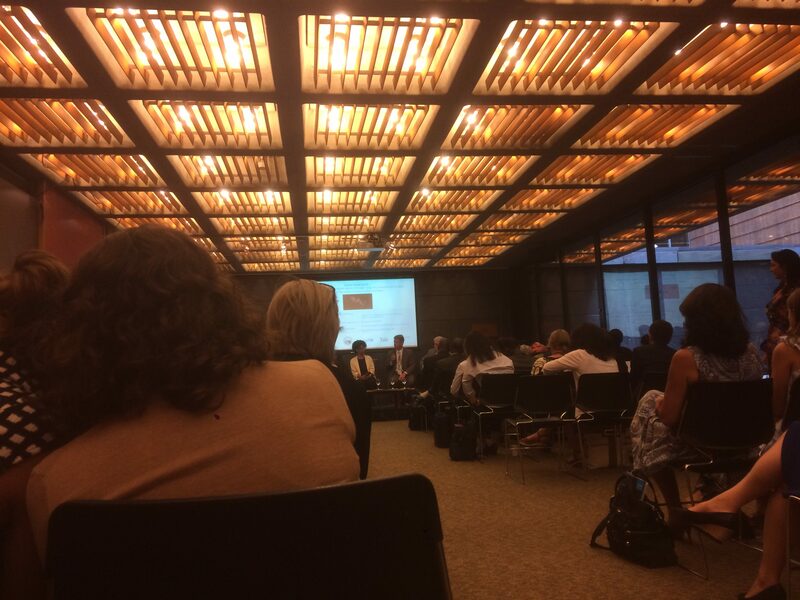 Additionally, I have been able to sit in on meetings during the UN’s High Level Political Forum (HLPF) on Sustainable Development, and write short readouts about the events and panels I attend. Click here for more information about HLPF. Through these experiences and tasks, I have gained vital information on how political reform is executed on a global level. I have begun to understand the complexities of multilateral negotiations at an international institution, and the difficulty of implementing change. This knowledge has opened my mind to the abundant number of career paths I could pursue after I graduate, and I am excited to see what the future holds. 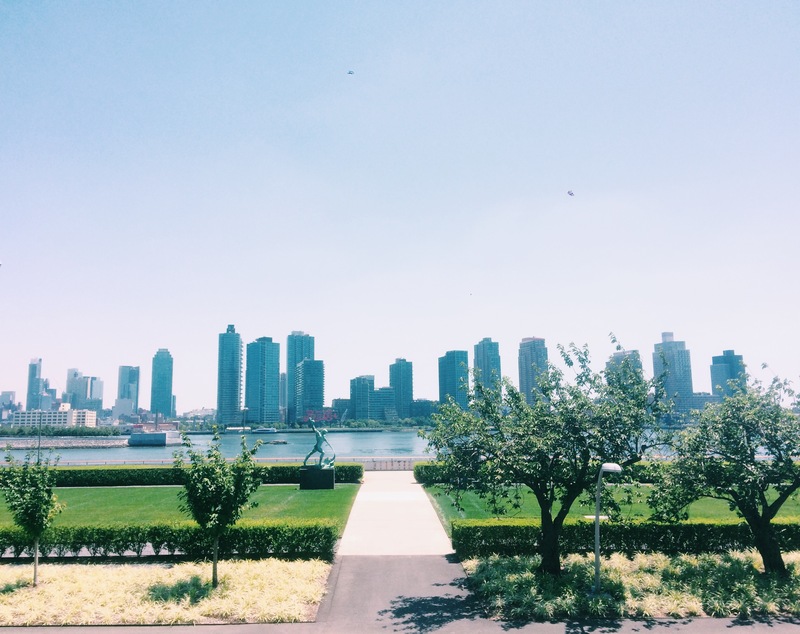 I am also extremely grateful to be in New York City this summer, as I have explored many new parts of the city and met people from all over the world. 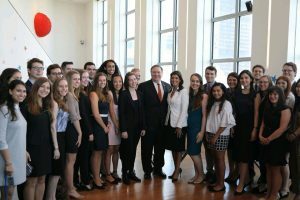 For the 4th of July, the U.S. Mission hosted a party at the UN, which I attended and viewed the Macy’s 4th of July fireworks from the best seat in the city, accompanied by the U.S. Ambassador to the UN Nikki Haley. I have also explored many historic and cultural parts of the city, and with every new item I check off my “list of things to do in NYC,” many more are immediately added to the list. I have met many interns who are interested in pursuing similar career paths as I am and have been able to learn from their experiences, as well. I am looking forward to seeing what the rest of the summer has in store! 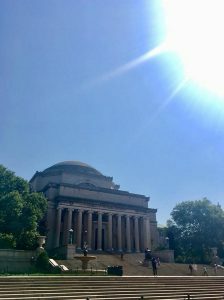 To provide a quick background of the Cuba Program at Columbia University in New York, the program is aimed at increasing scholarly exchanges between Cuban and U.S. based scholars and other experts in other countries on topics of mutual interest through a variety of mechanisms, such as publications, public lectures, and academic visits. Columbia academics also visit Cuba to engage in comparative analysis of topics of mutual interest. 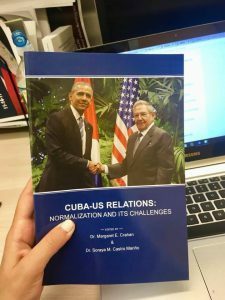 The research undertaken by both Cuban and US scholars has resulted in a variety of publications in the US and abroad. 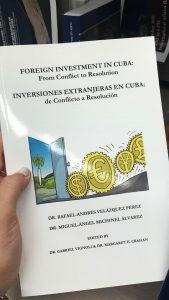 Cuban entrepreneurs and scholars have spent extended periods at Columbia on study trips to deepen their knowledge of strategies to meet the challenges of the non-state sector on the island. The Program has also actively cooperated with the media in promoting greater understanding of US-Cuban relations. Today marks the end of my first two weeks on the job. 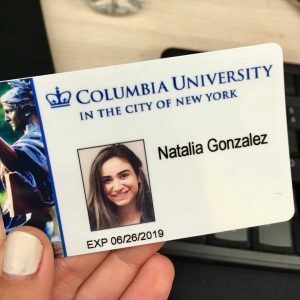 The amount of resources available here at Columbia is absolutely incredible. 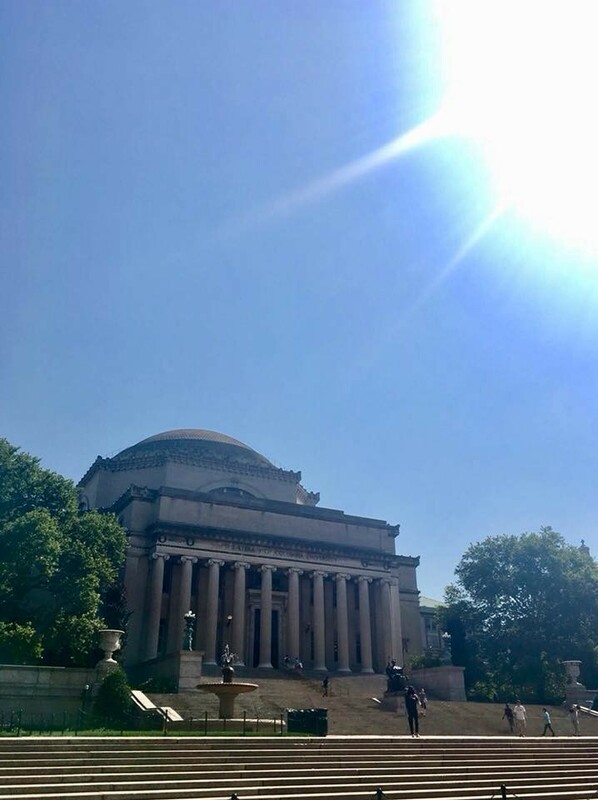 The Institute of Latin American Studies here at Columbia has its own library and reading room along with a full-time librarian who is an expert on all publications, databases, etc. pertaining to the region. I met with him this week and he showed me how to navigate through the different databases. I was introduced to a whole world of knowledge that I had only scraped the surface of before coming here. 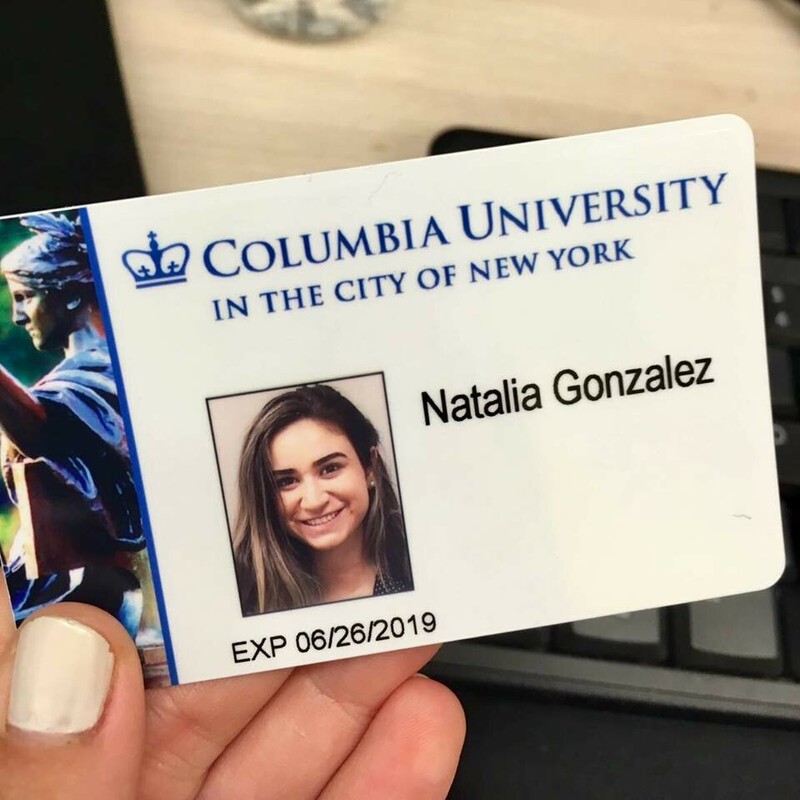 In the photo below, you can see my official ID (figure 1) which gets me into all different buildings on campus (including the libraries and archives) and thus, allows me to checkout different books/documents needed for our research. I am already learning a lot about Cuban history, culture and politics but I feel like I am also learning a lot about how academic/research institutions function and are successful. My boss/mentor/professor is so well versed, wise and knowledgeable. She has gone into conflict zones in Latin America to conduct research and serves on several Human Rights councils. Not only has she traveled to Cuba 63 times for research purposes alone but she is also considered one of the world’s leading scholars on religion and society in Cuba. It is truly an honor to work alongside her. I have a feeling that I am going to learn a lot from her. She was even kind enough to invite me to her home this past weekend to borrow a few books from her personal library. I was so happy! Below you can find the book she and her colleagues published last year (photo 2) and the one for this year (photo 3). My mentor will be heading to Miami in a few days for a conference at the US Southern Command (the part of the military that deals with the Latin American) to do several presentations on human rights challenges facing the armed forces in the region. Most military leaders of the Latin American countries will be in attendance! We’ve been working tirelessly for the past few days on gathering data for that. It can be tough at times because you can look through countless books and articles and still not find what you’re trying to convey. That being said, nothing tops the feeling of accomplishment when you finally find the perfect data! Below you can find one of the graphs (figure 4) we’ll be using (source: Isacson, Adam. and Kinosian, Sarah. 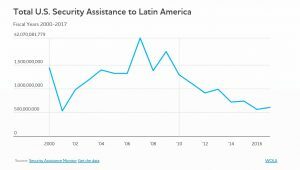 U.S. Military Assistance and Latin America – WOLA. 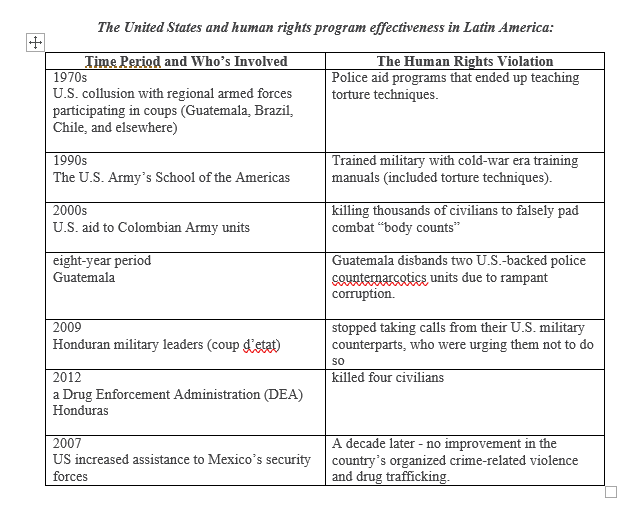 [online] 27 April 2017) as well as a chart (figure 5) that I put together regarding US involvement and human rights program effectiveness in Latin America. I am so excited to see what the rest of the summer has in store! The Parsnip Ship and busy, busy New York! Hey everyone! My name is Gilberto and I am a rising senior at Brandeis studying African and Afro-American Studies. Additionally, I am one of the recipients of the WOW Experiential Learning Grant. With the grant, I am completing an internship at the Parsnip Ship in Brooklyn, NY. The Parsnip Ship is a theater collective that brings diverse voices to their theater stage. Moreover, as the specific live show is happening it is also being recorded into their podcast. I am just beginning my second week at the Parsnip Ship. As a New Yorker, I am accustomed to the busy nature of the city. However, being in the work force and actually being busy is a whole other thing. I feel like I’ve reached the highest form of New Yorker! Anyway, my internship is unique in that the organization was started by a Brandeis alum and most of the people on the staff team are from Brandeis. This level of familiarity has been the grounding part of my internship amidst all of the busy things that have been happening! 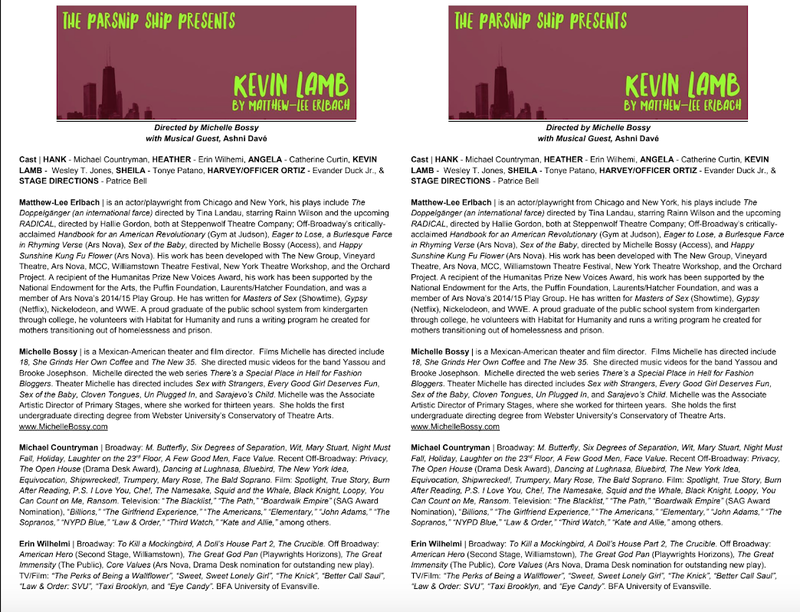 My day-to-day schedule looks like: meeting with the staff to discuss updates on our current projects, talking with playwrights and actors about logistical necessities for the shows and completing other basic administrative duties essential to the theater collective. 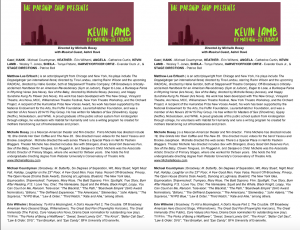 For the next season that will start up later on in the summer, all shows are exclusively written by playwrights of color. As a unique opportunity and a good way to bring in my passion and skills in reading performative texts, I get to be part of the committee that reads the submissions and chooses the plays that will make it to the final stage. I have been incredibly blessed to find an internship that allows me not only to witness creative work but enables me to put on creative work. I am so excited to continue learning in this amazing environment. Stay tuned for more! Author grosaPosted on June 19, 2018 June 25, 2018 Categories Recipient of the Experiential WOWLeave a comment on The Parsnip Ship and busy, busy New York! 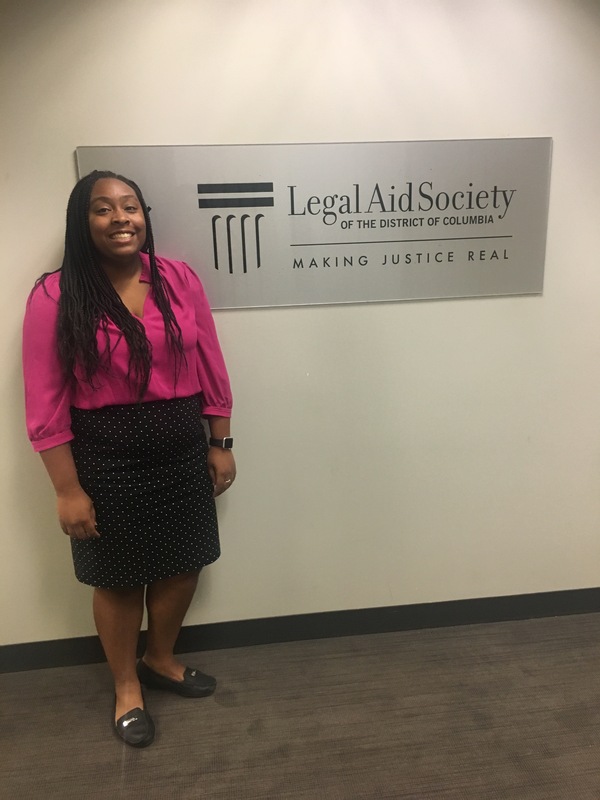 This summer, I am interning at the Legal Aid Society of the District of Columbia. At the Legal Aid Society, the attorneys are committed to “Making Justice Real” for their clients. The organization is composed of 4 practice areas which are, Consumer Law, Domestic Violence/Family Law, Housing Law, and Public Benefits Law. This summer, I will be working in the housing unit. The housing unit is the biggest area of practice at Legal Aid. A majority of the housing cases that legal attorneys work on are centered on evictions. In the District of Columbia, there is a two tier court system. 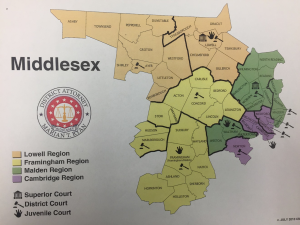 There is the lower level court system, the Superior Court and the Court of Appeals (which is equivalent to a state’s supreme court). This two tier system is unique to D.C. due to it operation as a city-state. Fun Fact: Judges in D.C. are not elected but appointed by the President and confirmed by Congress. Currently, there are vacant Judges seats on both the Superior Court level and the Court of Appeals level. This has resulted in Judges having to hear more cases than they normally would. Housing matters are heard in Landlord Tenant Court, which is apart of the Superior Court system. The Landlord Tenant Court has its own building due to the high volume of cases that occur daily. During my first week, I was able to take a tour of Landlord Tenant Court. On any given day, there are approximately 160 cases on the docket. The District of Columbia has one of the highest income gaps in the country. This has led to wide gentrification throughout the city. Historically, D.C was a city that had a majority African American population. However, many of the families that have been here for a long time are being pushed out of the city in to areas of Maryland and Virginia. There is a book entitled, Dream City that goes into depth about the racial makeup of the city. It’s a good read for those interested in learning more about D.C.. The majority of clients that Legal Aid serve are apart minority groups. I am very excited to be working at this amazing organization for the summer. As someone that is very much interested in law and social justice, the Legal Aid Society seems to be the perfect fit for me. I have academic, career, and personal goals for the summer. My academic goal is to be able to apply legal terms and concepts that I have learned in my legal studies courses to real world cases. My career goal is to learn more about Public Interest/Poverty Law. My personal goal is to develop and improve different skills that I have. Rather it be in foreign language, oral and written communication, or analytical skills. I am apart of a robust internship program. There are many things I have to look forward to this Summer, including being able to go to the Supreme Court. There are a total of 11 interns in my cohort (8 law students and 3 undergraduate students). I’m excited to get to know and learn from them. Week One was a success, and I can’t wait to start “Making Justice Real” throughout my internship. The idea of securing an internship was always an intimidating career step to me. Everyone has a different idea of what an intern should do, whether they should be paid, and how valuable their experience really is. I was afraid that interns were overburdened, insufficiently supported workers whose sole contribution was to carry out their supervisor’s agenda without having strong ties to the rest of the office or team. Luckily, this has not been my experience this summer at Care Dimensions. 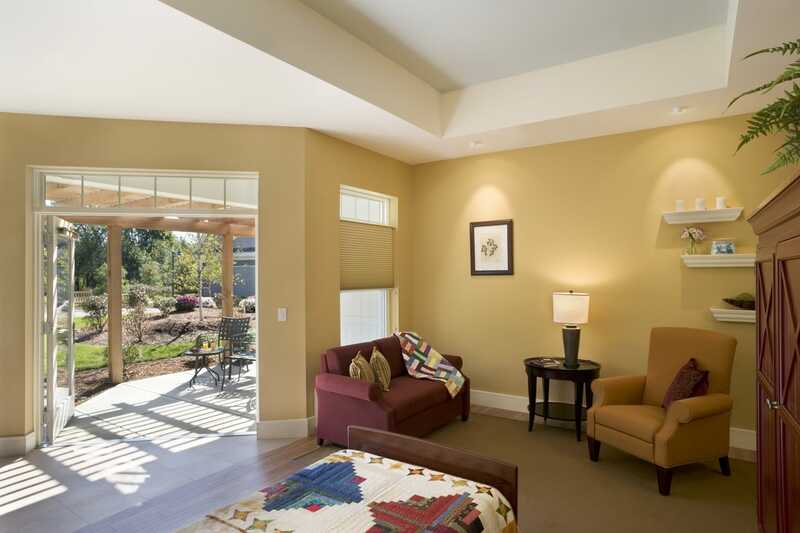 There are 20 rooms in Kaplan, and all beds can be moved onto the outdoor patio overlooking gardens. This offers many bed-bound patients an opportunity to safely see the sun. Hospice House (KFHH) in Danvers; and I have helped on projects for four different volunteer coordinators and two different bereavement counselors in the two separate offices. Most recently, I have been working on small projects for a bereavement counselor in the Kaplan House, and that has required fast familiarity with several areas of the program used to store patient data. The tasks themselves are simple enough, but it involves a lot of data entry and modification. Though the counselor showed me how to do this, I quickly discovered that if I spent some time exploring the program, I would find a new approach that was easier for me and allowed me to finish much faster. As I fell into a rhythm and knew what information to expect on a patient profile, I occasionally found errors that the counselor could later correct. I was also happy to share a few shortcuts she hadn’t previously used, but was excited to learn and try. Care Dimensions locations: (Danvers, MA) Kaplan Family Hospice House and Danvers office, serving the Northshore Area (Waltham, MA) Waltham office, serving the Greater Boston area *the Lincoln House will be opening in Waltham this fall!!! 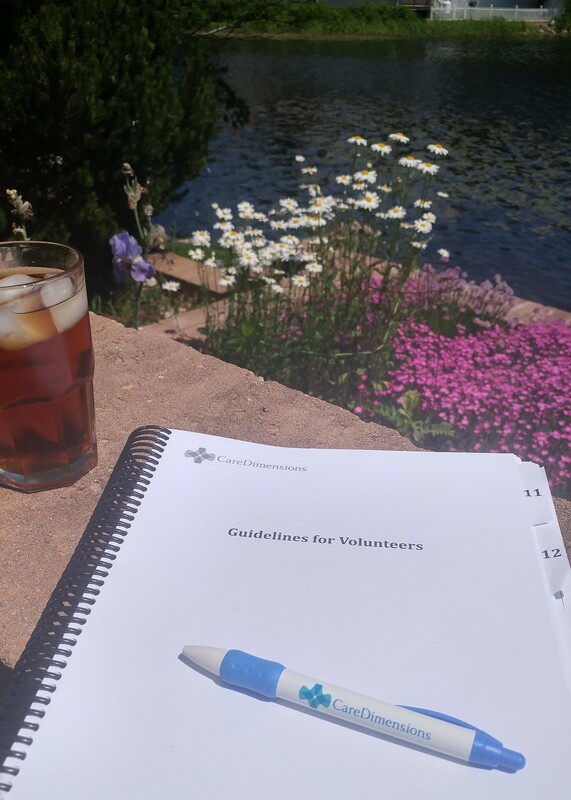 Since my exposure to Care Dimensions staff and volunteers has grown to encompass two offices in the past month, I can more confidently say that people choose to work and volunteer for the organization because they have a real desire to contribute to hospice. Whenever I describe my internship to friends and family, the most common reaction is that the environment must be incredibly depressing. While it’s true that patients and families on hospice can experience a great deal of emotional distress, the nurses, social workers, volunteers, bereavement counselors, and other staff at Care Dimensions are genuine, supportive, and caring resources. During my shifts at the front desk of KFHH, I met and spoke at length with a number of volunteers. They shared the reasons they got into hospice as well as the reasons why they’ve stayed—in some cases, for up to seven years. Many volunteers got involved with Care Dimensions following a personal, positive experience with the hospice and wanted to join the team to give back to other families in a similar way. So I can’t say that my internship with Care Dimensions has been in any way negative, depressing, or intimidating; rather, the people and the cause have inspired and challenged me since day one. 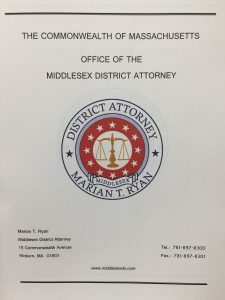 Working at the Malden District Court has been a truly immersive experience. 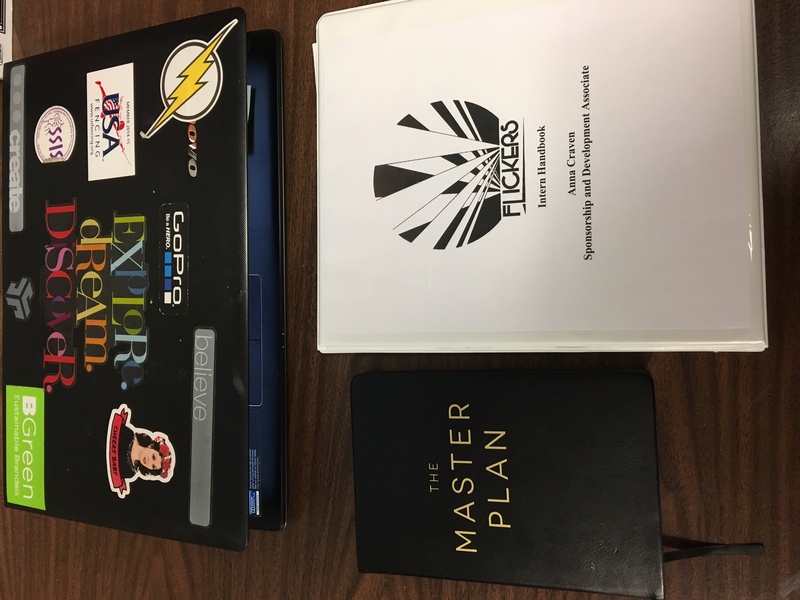 I’ve made it my personal goal to attend as many jury and bench trials as possible, and at each one, I’ve made detailed notes of the prosecution and defense attorneys techniques in opening, closing, and cross examination. Through these notes, I’ve been able to witness a plethora of styles of oral advocacy. Surprisingly, it helped me better understand how attorneys face audiences, whether juries or judges, when presented with trials. Outside of the workplace, I’ve gotten to know the attorneys and court personnel of our office and court and talked about their experiences in law, law school, court, and lives as legal professionals. It’s been a great way to get an insight into what it’s actually like to work in the public sector as a criminal prosecutor, and I’ve felt more than welcomed by all of my peers to ask and inquire as much as I’d like. The staff at my office are phenomenal at teaching me anything I’d like to know. 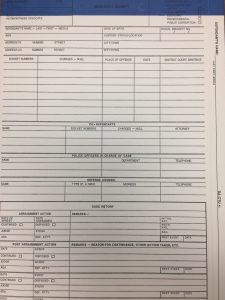 So within the past two weeks, I have learned how to create redacted copies of case files, file discovery notices, and create CTU folders (I’ve included a blank picture of one here). 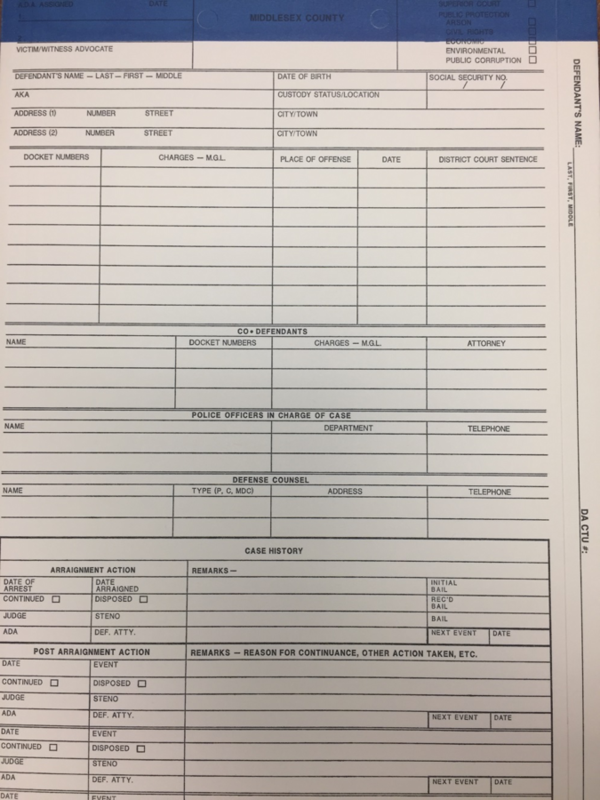 This takes hours of time off the attorneys hands, and in the process, I get to learn about what the different components of a case file (like the elements of discovery) consist of and how they are relevant to investigation. Not only has this experience taught me to properly analyze, observe, and interpret case files and trial proceedings, but it has also taught me to become a better oral advocator myself in enhancing my organizational and communication skills. I know how to present myself in court and to the public, and I’m learning how to closely read cases and spot relevant information that might be important or worth noting for future arguments. 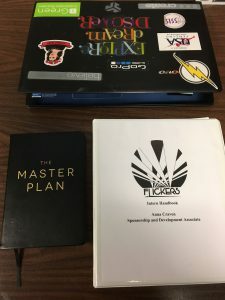 These are vital skills that will carry with me through my academic career at Brandeis and law school, but they will also assist me in all other areas of my life in my professional career as a lawyer, my personal interests in reading and writing, and my on campus involvement with student groups that aim to reach and affect wide audiences. It’s been a wonderful first four weeks, and I’m more than excited. Walking through Providence everyday on my way to work feels refreshing. 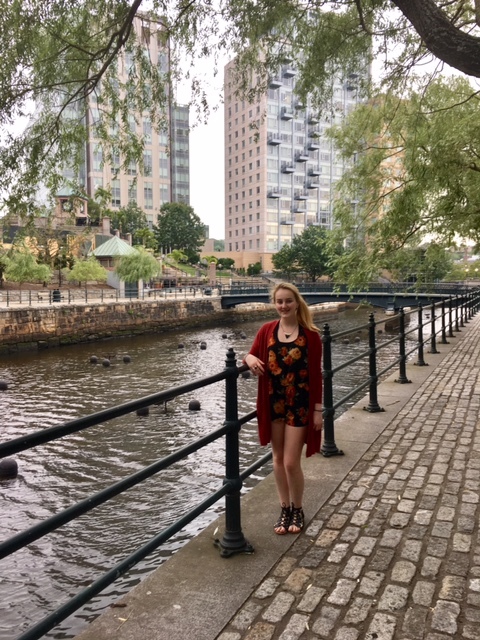 The combination of a once unfamiliar place beginning to feel like home, and of a transition into a truly vibrant city with new people, has made my summer exciting. 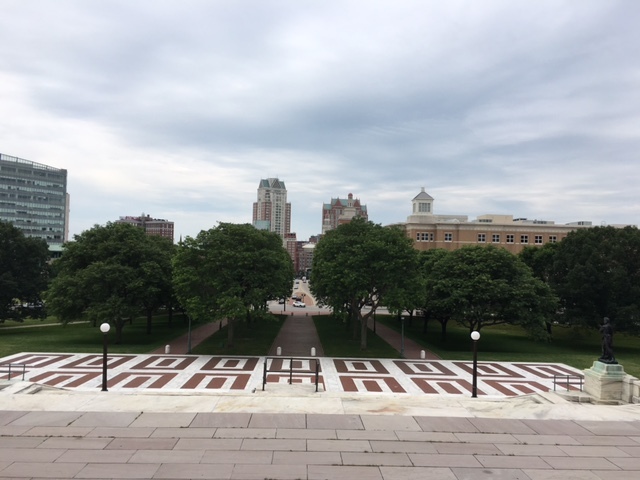 I’ve grown to appreciate Providence and all that it has to offer, as well as accept that there is so much more to see that I have yet to explore. 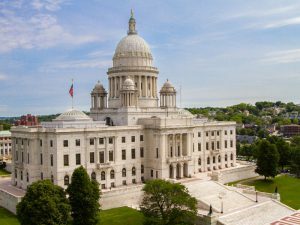 As a Sponsorship and Development Associate at RIIFF, I have become acutely aware of just how many more dining hot-spots and local tourist attractions I should check out in my quest to feel more of the Rhode Island experience. I have been able to see the buildings that host many of the major events of Rhode Island through my sponsorship work. One such building is the Providence Performing Arts Center (PPAC), a gorgeous building that will be used for our Opening Night. My time during this summer at RIIFF is much more focused than when I am full-time at Brandeis, by nature of being able to truly focus on my internship itself. At school, I juggle a multitude of commitments, ranging from academic pursuits to social activities, including work, community service, athletic teams and classes. During this summer at RIIFF, I have not had to balance so many of those obligations, so my time at work is truly the main receiver of all my energy. I am able to come to work each day with a fresh mind without many distractions. This is something I have truly come to appreciate in the day-to-day lifestyle I am able to live this summer. Standing in front of the location of WaterFire, a Providence attraction! One of my favorite aspects of this internship is engaging in interviews with our favorite filmmakers. It is so rewarding to be able to talk to and learn from some of the best in the industry. I have the opportunity to interview one of my favorite interviewers on his documentaries regarding the impacts of prison and necessary reforms surrounding the system. I am grateful for the opportunity to do so, particularly given my long-standing appreciation for this filmmaker and my passion for the topics that he covers. In addition, the ability to view so many different films from all over the world is invaluable, and I feel as though I have learned so much from watching them. I have loved immersing myself in the world of sponsorship work. The skills I have learned here at RIIFF are those I could certainly apply in other aspects of my life. I feel confident in pursuing sponsors, should I need to, for clubs I am involved in on campus now. While many of the interactions I have with potential sponsors take place over the phone, I have come to realize that in-person meeting is a much easier way to specify exactly what is wanted so that I can persuade potential sponsors to provide that. Communicating over the phone is very important in my role here, which is a skill that I will be able to apply in almost all of my future endeavors. It is rewarding to focus on being charming while communicating over a medium which is often seen as impersonal because of its lack of face-to-face contact. I am looking forward to seeing all of the work completed by RIIFF staff come to fruition during the festival. We already are anticipating the business of that week with much excitement! If you are interested in attending, please feel free to click here to purchase tickets! that the volunteer coordinator seemed to understand my fear that I wasn’t ready to visit and form relationships with terminally ill individuals. Since then, I’ve completed six of the eight volunteer trainings she spoke of over the phone, and my confidence has grown with every exercise, Q & A, and guest speaker. All volunteers received a manual covering topics from the role of nurses and social workers to dementia to grief and bereavement. Through the trainings and given resources, I’ve developed a greater understanding of hospice’s mission and of my own contribution toward that mission. When an individual is admitted to hospice service, it means that two physicians have certified that, if their disease follows a normal course, the patient will likely live no more than six months. Following admission, the patient and family are assigned a care team comprised of a nurse, a social worker, and a chaplain who will visit regularly. This clinical team is assembled to care for a person medically, emotionally, and psychosocially. As part of my training, I met three people representing each aspect of the team and was struck by their commitment to the service they are trained to provide. As they spoke of their duties, they revealed the enthusiasm for their work that drives them to give the highest quality of care possible. I was also lucky to join Care Dimensions just in time to receive an invitation to their summer volunteer appreciation dinner, during which I met people who contribute a variety of talents to the hospice; I chatted with a volunteer coordinator from Danvers about her five pets, I laughed as a media specialist snapped my photo, I asked a woman a million questions about her therapy dog as I petted the very same dog, and I shared my excitement over joining the volunteer team with a woman who later rose to give a speech and introduce herself as the new CEO and president of Care Dimensions. 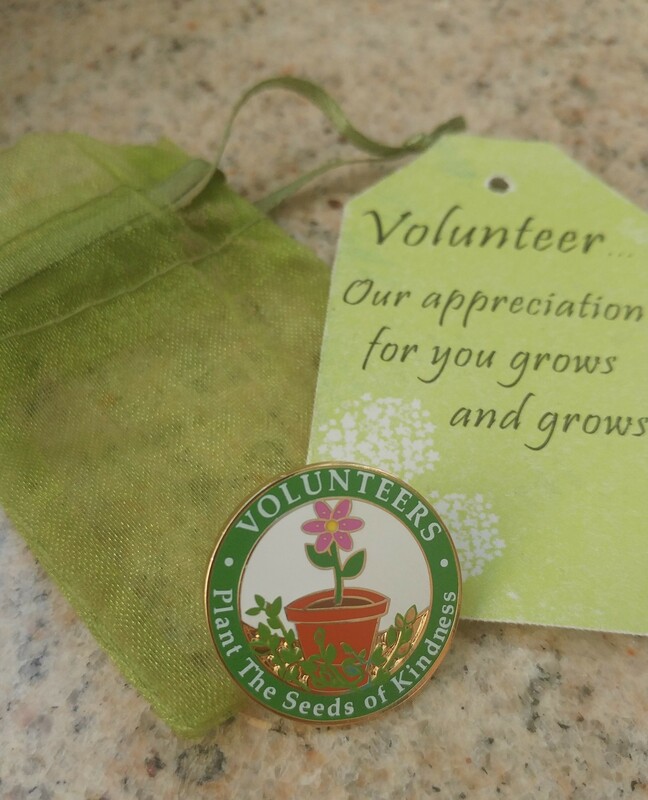 monthly volunteer support meetings. I knew that the volunteer coordinators were lovely people committed to the hospice cause,but I didn’t know just how much everyone at Care Dimensions values the volunteers. The sincerity they express in their gratitude for our service has been my motivation to finish the assigned readings, travel an hour to Waltham for trainings, and ask tough questions. I’ve learned so much about end-of-life care, and I am eager to begin visiting patients and to share the passion and dedication I’ve seen as characteristic of Care Dimensions. My greatest hope for my role as a volunteer is that I can have a positive impact on people who, as a consequence of their situation, are pulling further away from society, but still deserve awareness and respect from their community in a way that preserves their dignity. 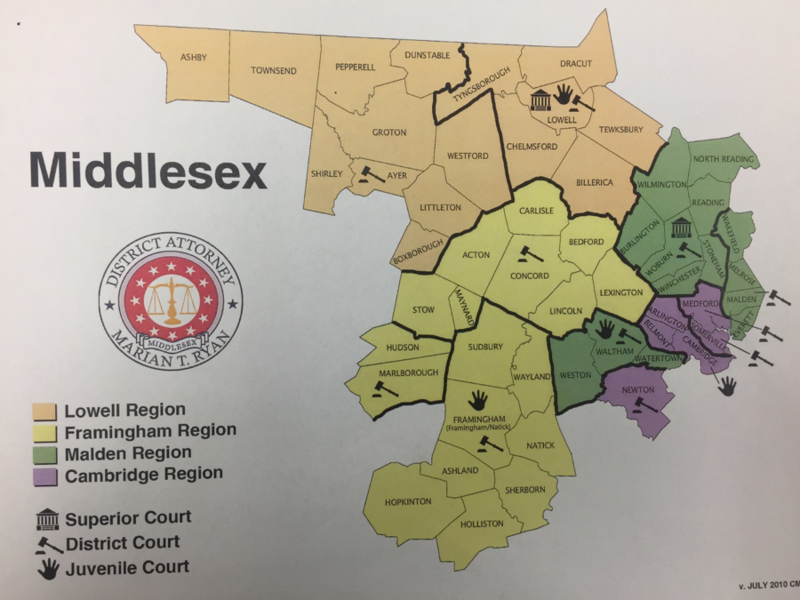 After spending a few days here in Woburn, I realized that I am very interested in observing how the court process works, so I asked my supervisor if I could attend a few days of my internship at the Malden District Court (featured above), and now I will be working there three days a week (with the remaining two days at the Woburn office). Yesterday was my first day, and the moment I stepped in, I witnessed 12 pleas in three different court sessions. The ADAs were constantly moving, and it was fascinating to watch them conduct each session. It was also the first time I ever heard a criminal plea, and by the end of it I could recite the informational requirements the Judge gives to each accused before he gives his plea (Otherwise known as Criminal Procedure Rule 12 subsections a through d, found here.) It was perfect to analyze the court system and learn about pleas directly from the judges, accused, Defense Attorneys, and ADAs themselves. 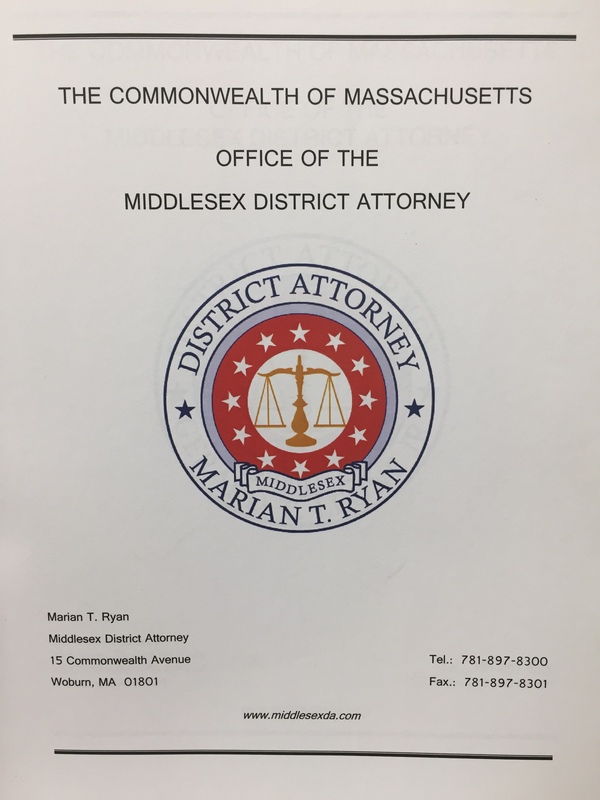 Following court, I was given a desk at the ADA’s office, and within four hours, I had already assisted with case research and case filing for three different attorneys. 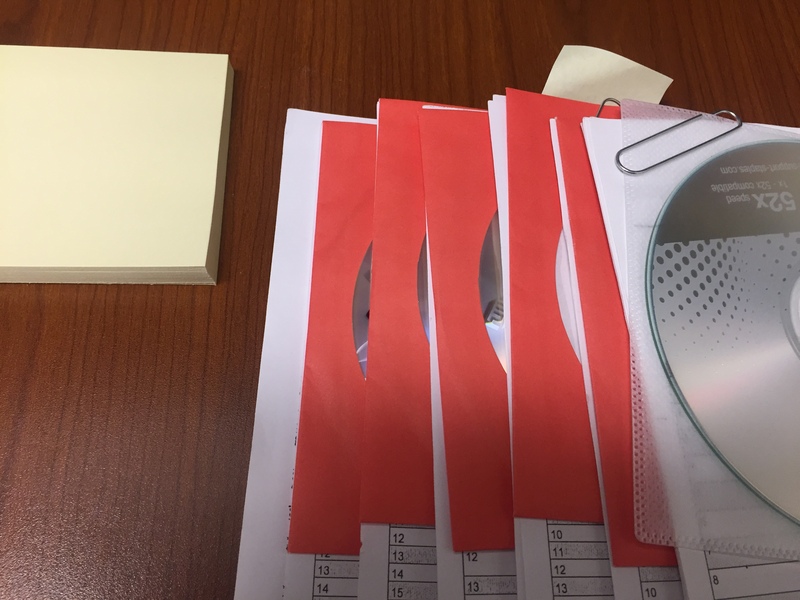 All of this help went directly to their case files, which affects how the cases will be treated moving forward and how they will be filed in the District Court system. I was also told that the next time I go to court, I will be helping organize more of their case files while I watch the trials. This way I’ll be able to help the attorneys better access the research they need for trial while I learn about how the trials work by observing. This internship experience has so far met my goals to learn about the role of the Prosecution and objectives of the DA in defining justice above and beyond, and I’m very excited for the next few weeks for me to get involved in more in-depth projects and see how much more I can be involved in. I began this internship with the intent to learn more about prosecution and the DA, but I also wanted to fully immerse myself in the experience so that I could learn about areas I didn’t previously know about. After just one week, I’ve already learned about prisons systems (from the inside), the role of detectives at crime scenes, the role of judges, appellate courts, and members of the DA office like Victim/Witness Advocates that I work alongside in my office at the court. Featured above is only one of three folders that I’ve received from my supervisor filled with information about criminal justice, the court, the DA office, elements of crime, etc. Everyone is eager and willing to help and talk with me whenever I have questions, and I’m excited to start my next week to see what else they have to show me! This summer I am fortunate enough to be working with Flickers’ Rhode Island International Film Festival. I am working as a sponsorship associate through their internship program. This is a particularly special summer to be working with Flickers’, as this year is their 35th anniversary. The Flickers’ film festival is New England’s sole Oscar and BAFTA qualifying film festival, and receives a wide variety of independent films across all genres. Last year, over 5500 films were submitted to the festival. The act of showcasing the work of independent filmmakers is so important, as an audience is needed for any piece of art. As such, I am so happy to be a part of the RIIFF team. Within my first week at RIIFF I noticed and appreciated how much I felt like a part of the team here. Interns are given great ownership of their assigned tasks, and expected to complete them independently (with help as needed, of course!). I enjoy fulfilling my duties as a sponsorship intern, which include researching potential sponsorship organizations, updating the sponsorship database and meeting with sponsors to discuss their roles in the festival. In addition, as a member of the RIIFF intern team for 2017, I also take calls, attend staff meetings, and help judge films submitted to the festival. I was blown away by the level of professionalism and in some cases, perfection, in many of the films submitted. My first day I watched many of the films under the college submission category, and saw such an extreme amount of talent, in terms of video design, sound editing, acting, and more. I feel lucky to be able to watch such a wide variety of films with so many different purposes, workers and themes. On the day to day, the other sponsorship intern and I compose a list of companies to call regarding a potential sponsorship for the festival, then call those companies and discuss partnership opportunities. I love the team environment that I am working in, because I truly feel that I am a significant part of the important work that Flickers’ is doing to prepare for the festival in August. A personal strong suit of mine is conversing over the phone for professional purposes, so I am happy to be able to put this skill to use and to continue to work on it. Going into this summer, I have three distinct goals. I hope to build close connections in the film industry, explore Providence, and learn how films are marketed after the production phase. So far I have been able to spend time with my fellow interns and the rest of the RIIFF team, and learn from their experiences. I have also been exploring Providence after work: I am in the perfect location to do so! My internship is in Providence, near the state house, and as such, is bustling with action, day and night. We are also near Providence Place, an incredibly vast and beautiful mall, with lots of parking. In addition, through my work as a sponsorship intern I have become more aware of local food and dessert hot spots near me, so I hope to check more of those out this summer. Lastly, I have already learned much about how film festivals are run behind the scenes, particularly in terms of what happens with films after they are submitted. I know that my knowledge of how film festivals run will increase more as we approach the festival in August, when we will all be gearing up and it will be all hands on deck! I’m looking forward to being able to see all of the work put in this summer culminate to one wonderful week.